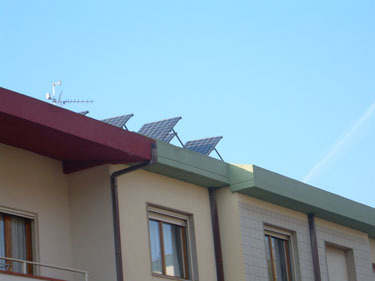 Given the high cost of Photovoltaic Panels in 2005 (8000 €/kW), in order to make the best use of the photovoltaic panels, each panel is supported with a galvanized steel structure, designed in such a way as to allow the panel to rotate on an axis, so as to remain at right angles to the Sun during the day. 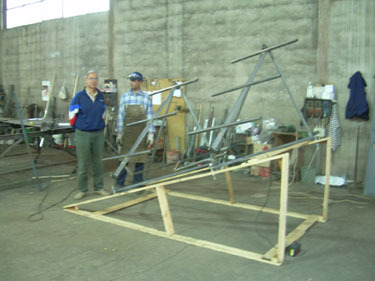 The rotation is impressed by a linear, electric actuator, connected with an electronic control unit that detects which side the panel must rotate to keep it orthogonal to the sun’s rays. 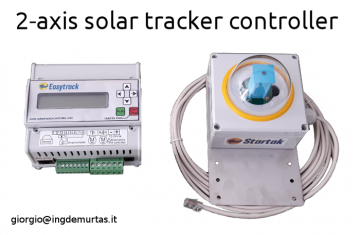 According to the technical literature, the tracking of the Sun position makes it possible to increase the production of energy by 15% – 25%, for the latitude of the case it is about 1500 Wh / year per kW installed. 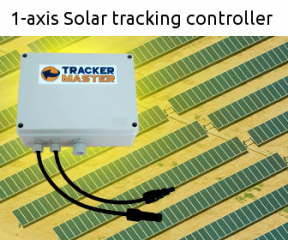 Given the very high cost of purchasing panels (around € 900 / each, with a power output of 170 W), it is advisable to implement this tracking system. With a two-axis tracking system, where the horizontal angle (azimuth) can vary by more than 180 °, a yield of 30-35% more can be achieved compared to a fixed system oriented to the south. The fact that the laying surface is not a horizontal terrace but the slopes of a roof, oriented towards east and west, inclined by 33%, required the solution of not simple problems to be able to meet the following needs: a main orientation of the south panel, the possibility that it rotates by + or – 45 °, avoiding excessive height on the roof to limit wind exposure and visual impact, define a system of anchoring to the roof which is resistant, not bulky and that does not damage the impermeability of the roof itself. Accept some shadows between the panels in the first and last phases of the day. The roof is on two pitches and the ridge line is oriented approximately north – south; the slope of the slopes is 33%. The wind pressure for which the structure is sized is 100 kg / m2. The panel chosen is the KC170 GHT-2 model of the Kyocera; the photovoltaic cell is of the polycrystalline type; the panel dimensions are 1290x990x36 mm, weight 16 kg, anodised aluminum frame; its peak power is 170 Watt at the voltage of 23.4 V, rated current 7.27 A, and short-circuit current 8.03A. The panels are connected in series; the nominal voltage (under load) at the output, in direct current is 280 V.
The chosen device is the PVI 2000-IT model of the Power-One brand; its nominal power side AC is 2000 W. It starts to feed energy into the grid when the voltage coming from the panels exceeds 90 V. The nominal input current of the inverter is 8.6 A; maximum efficiency 96%; IP 21; Dimensions 440x465x57 mm, weight 6 kg. Complies with current regulations for grid connection operation, safety and electromagnetic compatibility, including: CEI 11-20, DK5950, IEC 61683, IEC 61727, EN 50081, EN 50082, EN 61000, CE certification. 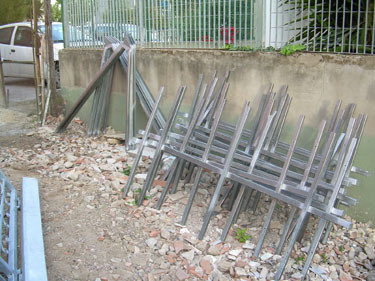 The mechanical structure in steel has been conceived and made in our small workshop. 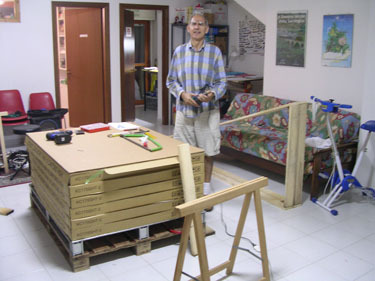 A wooden roof model was made to test the system in the workshop with two PV panels. 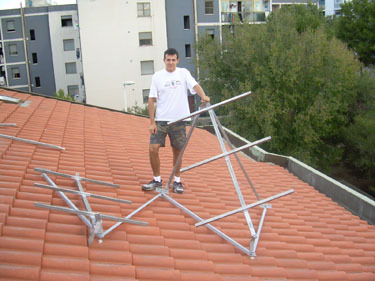 The structure was then fixed to the roof by means of robust chemical plugs. 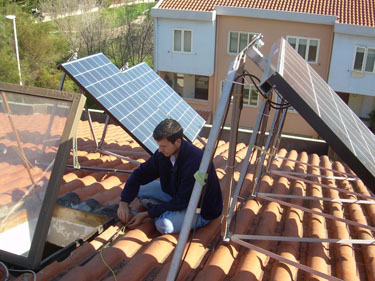 The electric motors, the panels, and the solar tracking unit were mounted. 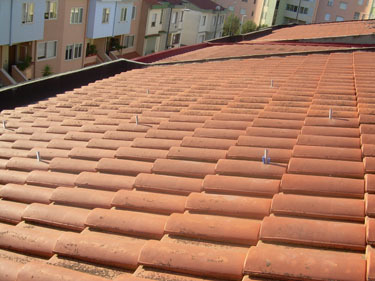 Detailed description and photos of the installation phase. It is not possible to feed the house when the public network is not live. 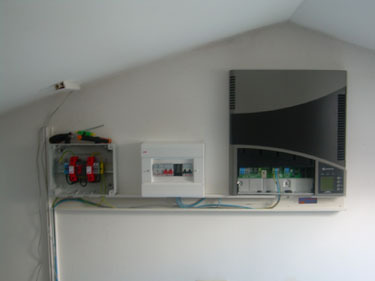 There are therefore no parts of the system that can work in the island and the output of the inverter will be connected only to the point of delivery to the network. Direct current side: two overvoltage arresters and a bipolar disconnector. AC current side: magnetothermic switch In = 10A, operating characteristic type C, P.I. = 4.5kA. Unipolar cable H07RNF section 4 mm2 for the connection of the panels. Unipolar cable FG7 (0) R, section 4 mm2 for connection to the mains. The M1 meter measures the difference between the energy consumed by the user and the energy produced by the photovoltaic system. If consumption exceeds production, the difference will be paid to ENEL with the rate of 0.11-0.20 € / kWh. If the production exceeds consumption, it will go into credit. 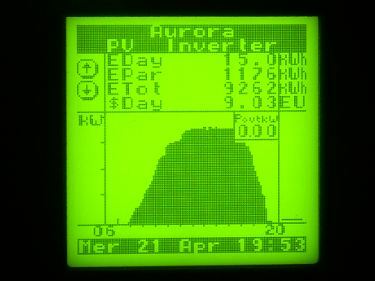 The M2 meter measures the energy produced by the plant, which the user will receive 0.45 €/kWh from the GSE. 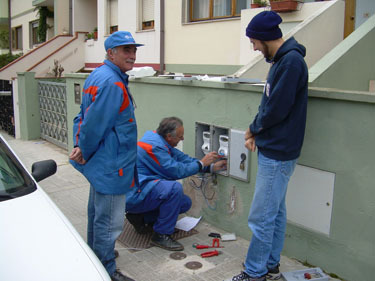 Both meters are bidirectional, in fact M2 is connected so that the energy produced is marked with a negative sign (it is an ENEL standard). 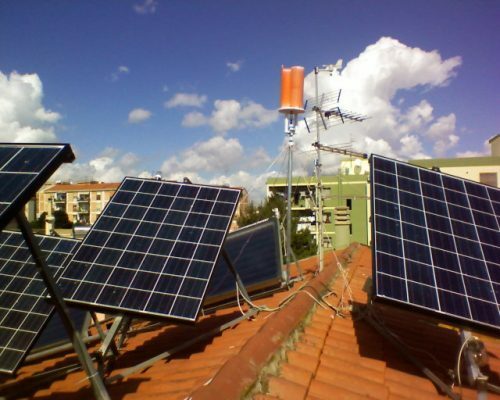 Photovoltaic panels and inverter: € 11000. Design and assembly: performed in house. Estimated annual production: 3600 kWh, equal to € 2160. Expected return on investment: 6-7 years. Feed in tarif: € 0.45 / kWh on energy produced for 20 years. Estimated life of the plant: 25 years. The plant was made in 2005. Nowadays (2018) the cost of panels and inverter would be around 2000 €, but you would receive 0.05 €/kWh for the energy feed to the grid. 13 pages out of 250 describe my unique solar plant.